If you’re a responsible car owner, you’ll want to do what’s necessary to protect the engine. The most important maintenance service is the oil change. Your engine needs lubrication so that its metal parts are not colliding and creating friction. Many drivers underestimate the importance of the oil maintenance service by missing scheduled appointments. Whenever the maintenance service intervals are longer than recommended, owners run the risk of shortening the vehicle’s road-life. For as long as they drive their vehicles, owners will need a strong and dependable engine. The key to your vehicle’s longevity and efficient performance is consistent lube service. A consistent oil change schedule will definitely make the engine more efficient. If it’s time for another oil change, it’s time for an appointment with Advanced Diagnostics Auto Care & Maintenance in Olmsted, OH. When engines are operating with dirty oil, it has a lasting effect on the engine. Dirt and debris can accumulate in your engine without you noticing. However, your engine’s performance will be compromised because the motor oil has been contaminated. Oil filter changes are meant to protect the engine and the oil from random debris. It’s a good idea to have your oil filter changed every time you have the oil changed. Viscosity refers to the consistency of the oil. It starts out “syrupy,” but eventually turns “milky” or “watery.” That would be motor oil with poor viscosity. As a result, the engine is forced to work harder and the internal metal parts are no longer protected. Best Quality Motor Oil Only! Maintaining the proper oil change schedule is the easiest way to enhance your vehicle’s performance. You’ll notice an improvement in gas mileage efficiency once you’re adhering to an effective service plan. We’ll only use the most appropriate grades of oil for your vehicle, considering your vehicle’s age and your driving habits. Our team gives your vehicle’s engine the oil maintenance services that will enhance its overall performance. Bring your vehicle to our expert facility to make sure your vehicle is handled by service experts. We handle all oil changes with the same precision that we handle any complex engine repair. We want you to know that your vehicle is in the best hands possible at Advanced Diagnostics Auto Care & Maintenance. 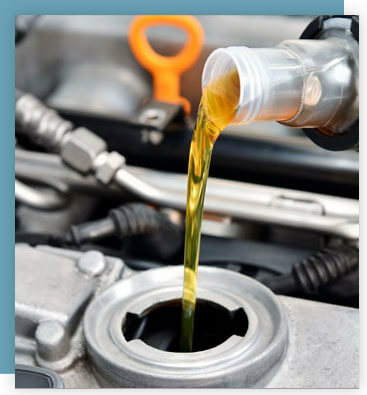 Schedule Your Oil Change Service With Us! Time for another oil change? If you can’t remember when your last service was, then the answer is yes! Our team is here to put you on a path to peak performance and efficiency. Clean and consistent oil changes will not just protect and preserve your vehicle’s engine, but they’ll also save you money at the gas tank. Engines that are forced to work harder will burn more fuel which means you’ll be forced to spend more money. The all-important oil change is the preventative maintenance service that we all must receive, and most of us should be receiving it more often. Give us a call today at 440-360-7711 to schedule your next oil change service. Next time you’re in the area, stop by to meet our technicians. We gladly accept all of our walk-ins and are looking forward to serving you.